← Breakfast eggs Benedicte ? A couple of months back I got my Goth to make me some gnocchi and it was so delicious I’ve been thinking of getting him to try it again. Almost definitely using this recipe, which looks amazing! 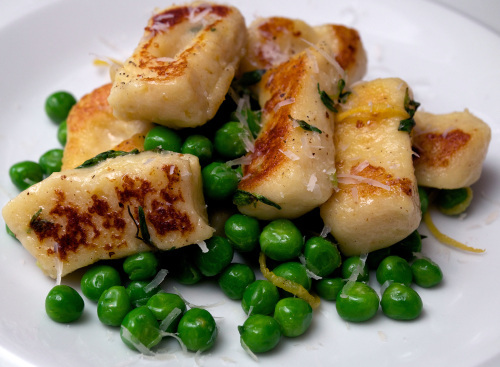 Gnocchi – where have you been all our lives? So much easier than we anticipated! Wine suggestion: We tried a delicious Langhe Nebbiolo by Luigi Pira from Piedmont in Italy which had a great balance between light weight, depth of flavour, dancing acidity and a characterful earthiness. Gnocchi is refined and elegant but also earthy and rustic and the food-wine combo matched really well.